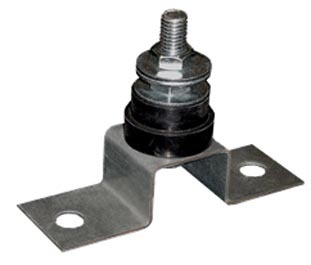 Novia manufacturers and stocks a full line of vibration isolation mounting systems. From neoprene pad to seismically rated restrained spring mounts. 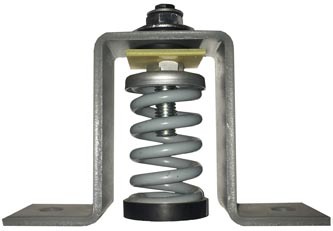 Novia vibration isolation products are designed to reduce the transmission of noise and vibration from mechanical equipment onto a building structure. They support, isolate, and suspend mechanical equipment. 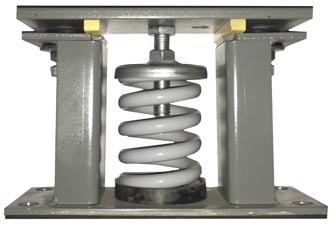 Restrained spring and/or neoprene mounts protect equipment and systems from damage during a seismic event. Pads are available in various thicknesses and configurations and can be cut to size to meet project requirements. 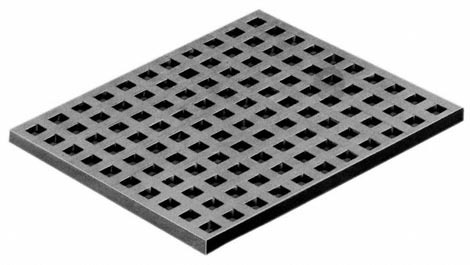 FMD neoprene mounts with anti-skid top and bottom surfaces. Embedded steel plates for uniform loading. Rated Capacity ranges from 30 to 2200 lbs. Rated Capacity ranges from 59 to 2500 lbs. Rated Capacity ranges from 29 to 14,000 lbs. RSM mounts incorporate lateral restraints and hold-down bolts, which limit movement of equipment to approximately 1/8 inch in any direction from neutral position. Mounts are designed to withstand seismic / wind forces in all three axes. Rated deflection ranges from 1” to 3” with higher deflection mounts available if requested. The RSM is equipped with resilient all-direction neoprene snubbers to prevent hard surface contact, which can amplify seismic input.